Did you know you could qualify for $0 down? There are many first time home buyer programs out there and we will help you choose the best one for you. Let us take the pressure off your shoulders and make buying your first home a walk in the park. We are so blessed to have Rob Reinmuth as our realtor. We were living out of state and decided to retire here in Colorado Springs, we contacted Rob and flew in to meet for a two day house hunting experience! Let me say, it was a real pleasure and within the two day’s Rob found us the perfect house to buy. All went great and easy for us thanks to Rob and his excellent skills as a realtor. Oh may I also say our first impression, we liked his honesty and personality. We highly recommend Rob Reinmuth. He is wonderful, always on time, always helpful. Just, very impressed and pleased with Rob. If you want the best then ask for Rob Reinmuth. We did get the best help with Rob anyone could ask for. We love our home and are glad Rob helped us find it. My experience working with Rob Reinmuth was a great and painless experience. I always felt comfortable asking as many questions as I needed to. Not only did Rob answer them all, he made me feel at ease with the process of purchasing a home. Every step of the way, Rob followed up and ensured that inspections were being completed and last minute problems were taken care of so I could make the closing date. I would recommend all of my friends and family to Rob Reinmuth. Rob Reinmuth lined me up with property that gave me twenty eight thousand dollars in instant equity. He had my well water tested. He had my propane tank filled. He arranged to have my electricity turned on. In short, he went out of his way to do many things for me that he was not required to do. He is a great agent. Rob, Thank you again for all your support and advice. You have an excellent ability to listen to our needs, wants, words, and translate them into the type home we were looking for. Not an easy task. However, I wanted to acknowledge your analytical mind to transition the words of people, and come up with a product that best suits the style, price, location, views, finish-out, and all the many nuances that are thrown at you and yet you still come through like a true Professional. We say again that we truly believe that our connection with you as our exclusive broker was no accident. We have spent too many hours praying, for our link to you to be anything less than the Divine hand of our Lord. Before viewing any homes for sale, the most important part of the buying process is to pre-qualify with a lender. With the ever changing loan regulations and qualification guidelines it is essential to see how much you can afford under today’s guidelines. This process is just a preliminary process which consists of giving the lender basic information over the phone so that they can determine a price range in which you should qualify for. They will then send us a pre-qualification letter so that it can be presented with any offer we might make on a home. If you need recommendations of local lenders in Colorado Springs, we can help. You can also fill out the short form on our site here This will be given to a local lender for review and they will contact you to let you know what you pre-qualify for. Once we have the pre-qualification letter. We will discuss what you would like in a home, such as: areas you desire, number of beds, baths, garage spaces, amenities etc. Once we have your criteria established, we will set up a personal web page for you that will automatically locate properties that meet your criteria in the multiple listing service (MLS). Although you can search through 7,000 listings on our website search engine, this will narrow the search to your specific criteria which will be populated to the site. The very second new listings hit the market, they will be placed into your webpage. You never know when that screaming good deal will hit. When it does, you want to see it right away without sifting through 7,000 other listings to find it. You will be able to see each property listing and place them into folders labeled, Favorites, Possibilities or Rejects. Touring homes is really an educational process. We will go look at your favorite properties to determine if there are any of them you would like to purchase. The educational portion comes in this process by weeding out areas that you may or may not like, as well as, home styles and features you really like or dislike. This will help us narrow your search criteria even more. There are many homes on the market for sale. Not all are good deals, but we are looking for that one gem. When we locate a home in which you would like to make an offer, we will complete an analysis of that home to determine its value. In some cases the home may be a screaming deal which we will need to move quickly to get it under contract before someone else. In other cases the price may be reasonable or too high, in which, we will need to negotiate downward to an acceptable level. Regardless, we are experts at determining value and giving you all the information you will need to make the best decisions in your purchase. We will prepare an offer based on all the information we have gathered in our analysis of worth and condition of the property. It will be prepared on an e-contract that you will be able to sign with your mouse from the comfort of your own home. We will then send the offer and the pre-qualification letter to the listing agent representing the seller. Once the offer is accepted, the buyer will give earnest money (usually around 1%) to the seller’s agent to hold until closing. At closing, this money will be credited to the buyer’s portion of the down payment or given back to the buyer depending on the type of loan they are getting. The closing of the sale usually takes about 30-40 days. During this 30-40 day period we will complete an inspection, review covenants, review title work etc.. During this process there will be certain contingency dates in which the buyer can back out of the contract if the due diligence items do not meet their expectations. Once the offer is accepted by the seller, we will send the contract to your lender to start the full loan process. The lender will contact you to sign paperwork and turn in information requested to verify your income, bank accounts and other pertinent information needed to obtain the loan. Within the first 10 days of the contract we will inspect the home using a professional home inspector. An average cost to the buyer for an inspection will be around $200-$400 depending on the square footage of the home. This is a good time to spend several hours inside the home looking at many details that might not have been seen during the initial preview. If inspection items are found in the home that you are not comfortable with, we will write up an inspection notice to correct these items. The seller has an opportunity to reject the items or offer an alternate resolution. If the buyer is not comfortable with the home after the inspection or after receiving the sellers alternate resolution, they may walk away from the contract and get their earnest money back. In the contract it states that the seller shall provide title insurance. A title company will research the title of the property and all names associated with the title in order to determine whether there are any liens or judgments. All liens and judgments will have to be clear in order for the title company to issue a clear title. Once the title insurance is in place, this will guarantee the buyer a free and clear title for the property after closing. We will review this title work and correspond with the title company if there are any issues that need to brought to your attention. You will also receive this paperwork from the title company to review. If for any reason a clear title cannot be obtained, you can back out of the contract and get your earnest money back. If the property is in an association or an area that has covenants, we will obtain the financials of the association and the covenants for your review. This way you can see if there are any restrictions that you were not anticipating, such as parking an RV on the property etc. If there are objections to any of these items, you may back out of the contract and get your earnest money back. Once the inspection items are negotiated, we will instruct the lender to order the appraisal. The lender will order a licensed appraiser to go to the property to determine its value. If the value does not come in at the value of the contract or above, you will be able to back out of the contract and get your earnest money back. Once the loan is in place and all the due diligence items are completed, a closing will be scheduled. Before signing on the dotted line, it is important to take one final look at the property. This way we can be sure there wasn’t any vandalism to the property while it was vacant, all the inspection items were completed by the seller and that it didn’t burn down overnight. We will meet at a title company with the sellers and their agent to sign all the paperwork for the closing of the home. We will get to review all the paperwork for accuracy and sign for the home. 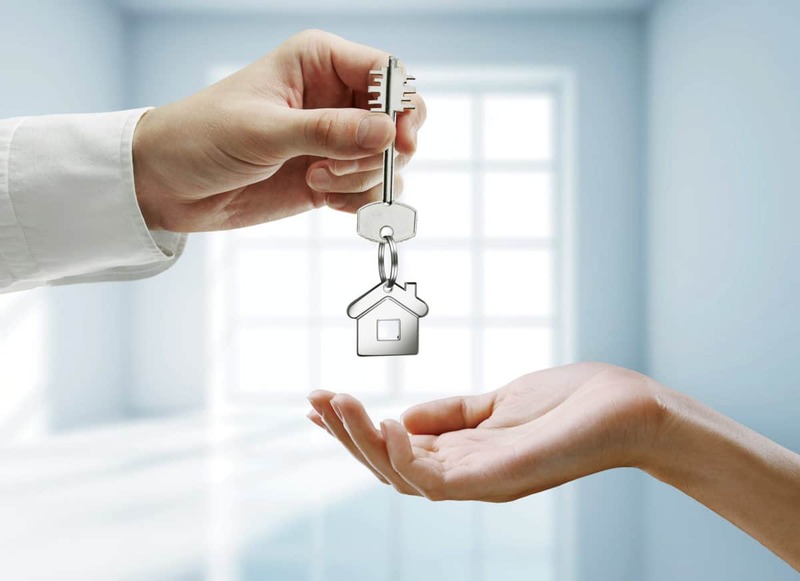 Once the signing is complete, all keys will be turned over to you and you will walk out a proud homeowner. Understanding how much you can afford is one of the most important rules of home buying. Depending on your individual situation, your budget can affect everything from the neighborhoods where you look, to the size of the house, and even what type of financing you choose.Bear in mind, however, that lenders will look at more than just your income to determine the size of the loan. Likewise, you may find that there are some creative financing options that can help boost your purchasing power. One of the best ways to determine your budget is to have your real estate agent or lender prequalify you for a loan. Prequalification is different from preapproval, because it is only an estimate of what you’ll be able to afford. On the other hand, preapproval is a more formal process where a lender examines your finances and agrees in advance to loan you money up to a specified amount. Lenders also use your financial information to figure out two, very important ratios: the debt-to-income ratio and the housing expense ratio. Debt-To-Income Ratio Many lenders use a rule of thumb that the amount of debt you are paying on each month (car payment, student loan, credit card, etc,) shouldn’t exceed more than 36 percent of your gross monthly income. FHA loans are slightly more lenient. Housing Expense Ratio It is generally difficult to obtain a loan if the mortgage payment will be more than 28 to 33 percent of your gross monthly income. If you’re having trouble saving money, many lenders will allow you to use gift funds for the down payment and closing costs. However, most lenders require a gift letter stating the gift doesn’t have to be repaid, and will also require you to pay at least a portion of the down payment with your own cash. Our home Advice below can help you find the answers to your home buying and selling questions. Simply choose from one of the categories below to display frequently asked questions and answers.